In Gramatech’s 20-year history they became known for quality products and service. Following the acquisition, IMPAK Corporation will continue the spirit of Gramatech’s specialized customer support in both stock and custom-made heat sealing equipment, with the added benefit of IMPAK’s cutting-edge control systems and manufacturing capabilities. Former Gramatech customers and IMPAK customers alike will enjoy an expanded range of products and technologies. 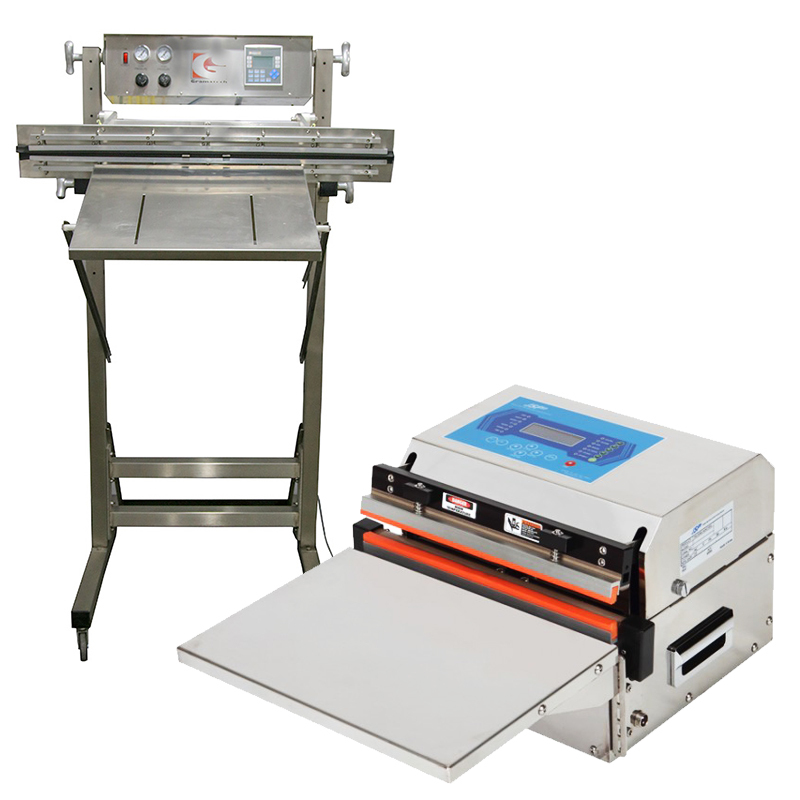 Gramatech’s product line will be added to IMPAK’s existing line of vacuum and heat sealing equipment, which include convenient, economic options such as their all-electric units that require no air source (pictured; lower unit) as well as highly advanced items such as their medical tabletop sealers which utilize the Siemens-based Intelligent Sealing System, iS2™. And where customer needs fall outside of their robust line of standard options, the company’s Los Angeles based team will take on the challenge to produce a custom solution. “The number of companies with the Gramatech Series of 21, 26, 31 or 36-inch heavy duty production model sealers is an open door for our custom capabilities,” explains R. Hasan, Machinery Department Director. Sergio Flores, formerly with Gramatech, has joined IMPAK and aided in the transition. Gramatech alum, Product Manager Tod Cooper, also joined IMPAK in March; at the time he had no idea that the Gramatech acquisition, a company he had been with since its founding, was already part of Kevin Cullen’s strategic plan for the company. IMPAK’s team is pleased to serve the Gramatech network, knowing their customers often play a critical role in driving new innovation; the new technologies and advanced solutions IMPAK provides often start with a customer need. Such needs have resulted in gains such as being the only company to supply a 3rd party certified explosion proof sealer in the last 30 years. For over 20 years, IMPAK Corporation has provided innovative packaging solutions with stock and custom-built sealing equipment. Based in Los Angeles, California, IMPAK’s machinery team serves customers ranging from small businesses seeking economic tabletop options, to companies in need of fully customized industrial machines that address highly specific challenges, unmet by other suppliers. Sophisticated programs for better precision are available on many of their stock items and the company has even been known to retrofit machines by other manufactures as required by customers.